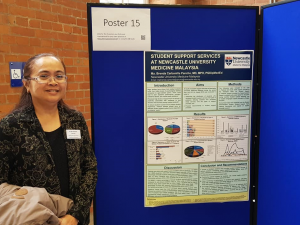 My own contribution to the conference was a poster entitled ‘Student Support Services at Newcastle University Medicine Malaysia’, which was basically an audit of student support services during the Academic Year 2015-2016, the aims of which were to determine the distribution of students seen by Student Support Services, the types of problems affecting these students and the types of support provided, and to make recommendations to improve service provision. Of all the conference presentations, what struck me most was the keynote address on Learning Gain delivered by Dr. Camille Kandiko Howson from King’s College London. The first word that came to mind when I read the title of the presentation was ‘benefit’. Learning gain could refer to the benefit that a student derives from a learning experience. After listening to the talk, I learned that it is a much broader concept, and has multiple dimensions (i.e. cognitive, behavioural and affective) that could be measured. 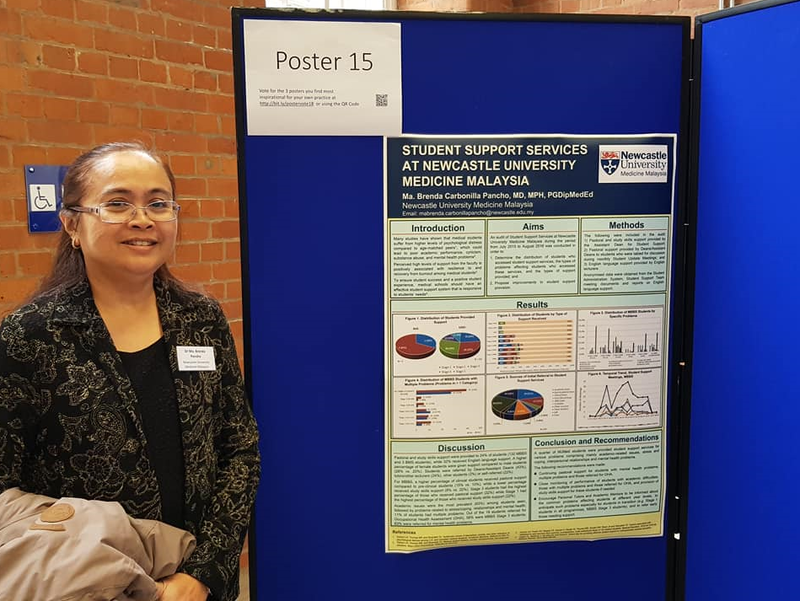 Learning gain is “the improvement in knowledge, skills, work-readiness and personal development made by students during their time in higher education”. 1 From Dr. Howson’s presentation, if we want to measure learning gain, two questions should be asked: 1) What is the purpose of higher education? and 2) What is valued? The answer to these questions would help in determining what aspects of learning gain should be measured, and how learning gain could be promoted and achieved. Coming from a public health background, I automatically thought about looking at these issues from both a macro (societal) and a micro (individual) perspectives. From a macro perspective, it would boil down to the reasons why a society educates its population. Is it to create a citizenry that will contribute to society’s economic, technological and cultural development? Is it to ensure that knowledge, skills and societal values are transmitted from generation to generation? Is it to ensure social equity, to bridge the gap between the advantaged and the disadvantaged? I think that all of these questions are relevant. As an educator involved in teaching and providing pastoral support to students, for me the micro perspective would be more applicable, in my teaching sessions, in student meetings, in my conversations with students. The questions that I should ask are: 1) What is the purpose or objective of the session? 2) What benefit or value can the student derive from it? and 3) How can it contribute to student learning in the cognitive, behavioural and affective domains? And so I left the conference thinking about how learning gain can be achieved in my own teaching and encounters with students, and with the conviction that learning gain should be foremost in our minds and in what we do as educators. Reference: McGrath, C.H., Guerin, B., Harte, E., Frearson, M., & Manville, C. (2015). Learning Gain in Higher Education. Cambridge: RAND.